Stephanie Wei, a competitive golfer, offers insights and analysis into the latest golfing news. 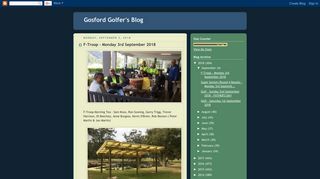 Providing discussion about golf balls and golf diver stories as well other information about golf. 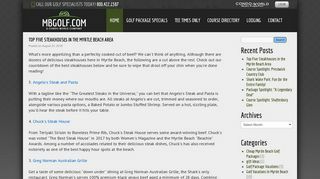 Offers Myrtle Beach golf packages and Myrtle Beach tee times. Retired and a regular golfer from Australia. News including product reviews, PGA Tour talk, playing tips, plus plenty of thoughts and opinions. Get a better golf swing with golf biomechanic Mike Pedersen. Tips, videos and aids to achieve swing power. 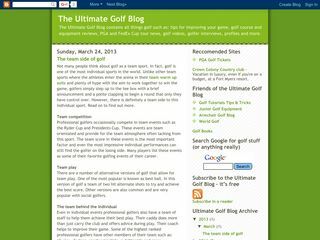 Golf blog offering commentary, tips, news, rankings and results.